Vodafone has announced its Black Friday Deals for the UK and the carrier is offering a range of deals this weekend. 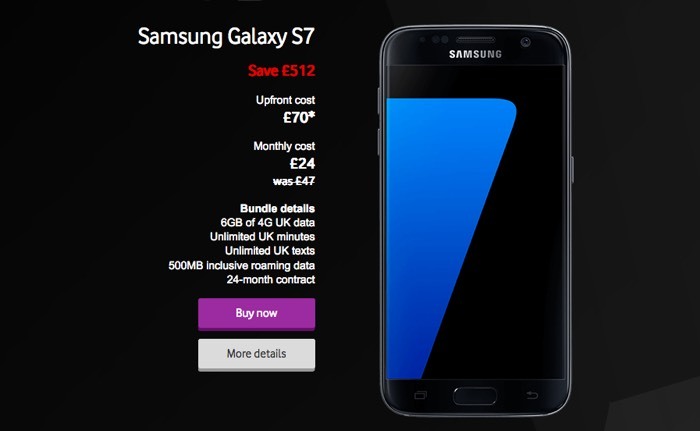 Some of the deals with Vodafone include a Samsung Galaxy S7 for £24 a month over 24 months with £70 up front, this previously cost £47 a month. They also have the Huawei P8 Lite for £79 on pay as you go and the LG K8 for £75 on pay as you go, plus the Huawei P9 Red for £24 a month and the Sony Xperia XA for £24 a month. There are lots more deals over at Vodafone and you can find out more information at the link below.